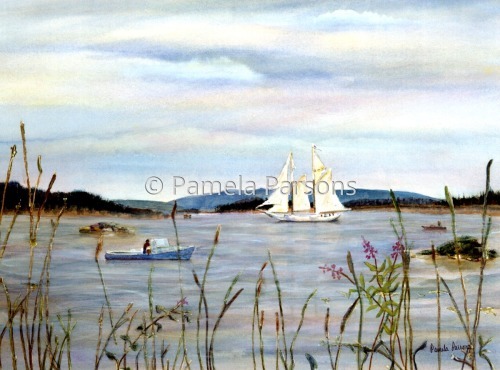 A breathtaking Windjammer sailed by as we watched in the fishing village of Stonington, Maine. 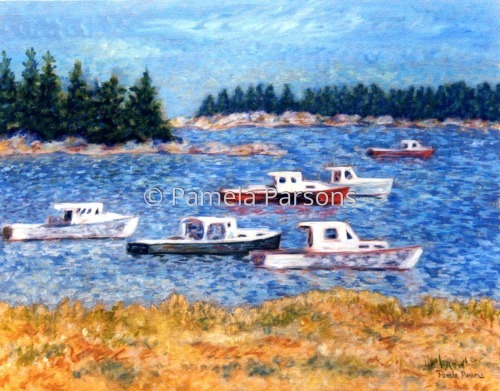 5" x 6.75"9" x 12.25"13" x 17.5"17" x 23"
Oil painting of a fishing boats in the harbor on the coast of Maine. 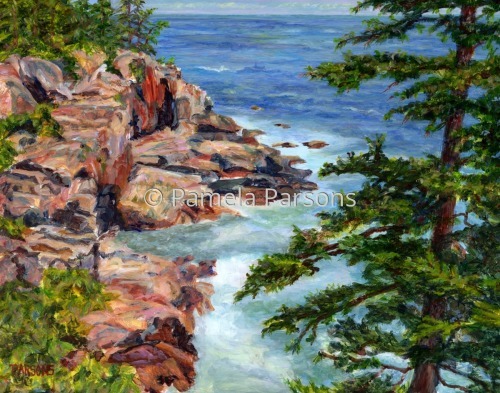 7" x 9"8" x 10"9" x 11.5"11" x 14"13" x 16.5"15" x 19.25"
Acrylic on Panel painting of beautiful Thunder Hole in Acadia National Park, Maine. 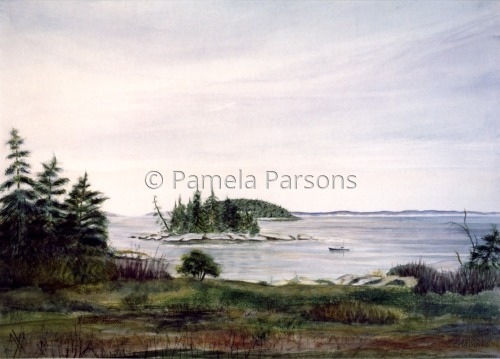 10" x 12.75"11" x 14"15" x 19"
Print from watercolor of beautiful Deer Isle, Maine. 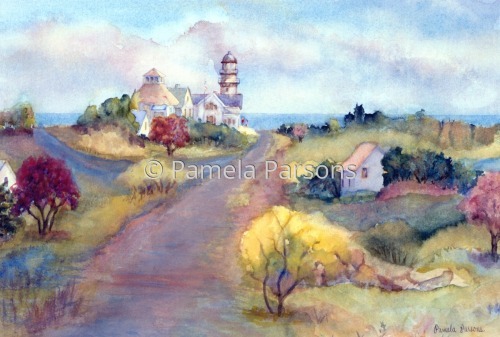 Print from original impressionist watercolor painting inspired by the twin lighthouses at the end of Two Lights Road in Cape Elizabeth, Maine. 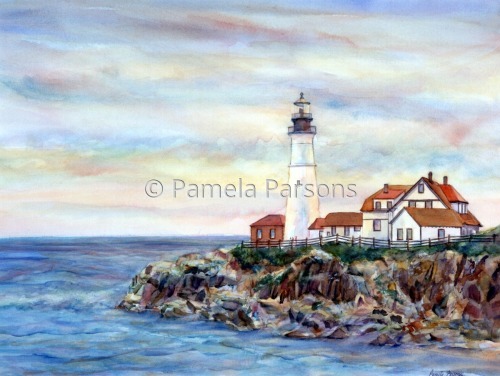 5" x 7.5"7" x 10.5"9" x 13.25"11" x 16.25"13" x 19.25"15.25" x 22.5"
Watercolor painting of the majestic Portland Head Light in Cape Elizabeth, Maine. 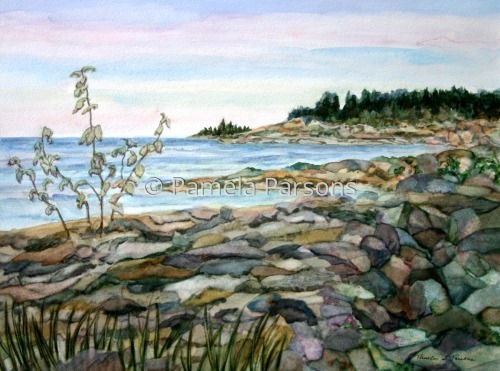 Watercolor painting inspired by the flowers by the beach in Maine. 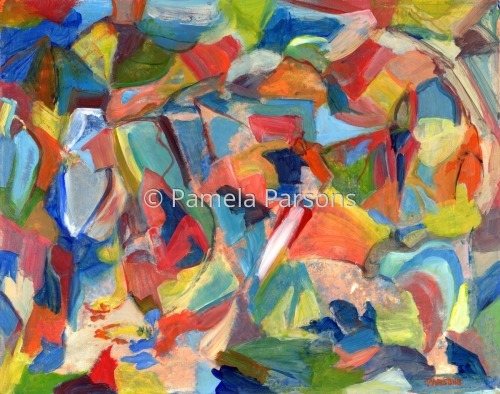 5" x 7.25"7" x 10.25"9" x 13"11" x 16"13" x 19"
Mixed media on panel abstract expressionist painting inspired by sailing on the coast of Maine. 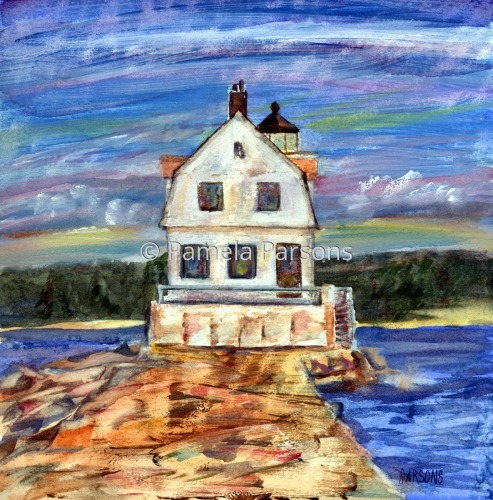 10" x 12.75"11" x 14"15" x 19"20" x 25.25"25" x 31.75"27.5" x 35"
5" x 5"8" x 8"11.25" x 11"14.25" x 14"17.25" x 17"
Bar Harbor Maine is a watercolor painting of this beautiful harbor with its colorful pine tree lined rocky coast and light blue ocean. 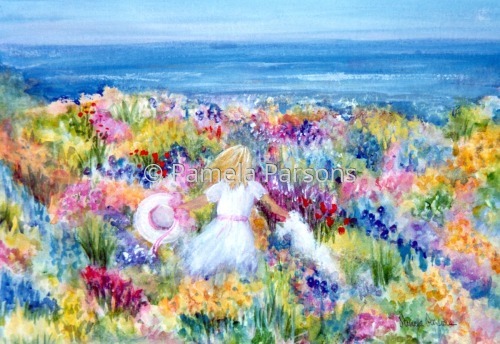 5" x 6.75"6" x 8"7" x 9.5"8" x 10.75"9" x 12.25"12.25" x 16.5"